Hilo, Hawaii, USA – Just a hop, skip, and a jump from Lihue, Kauai lies the city of Hilo on the Big Island where the Wells Seniors began the second stage of their Hawaiian adventure this past Saturday evening. At the crack of dawn Sunday morning, the group headed up to Hawaii’s highest point – the summit of Mauna Kea. A stop at the Ellison Onizuka Visitor Center at the 3,000 meter elevation was required to acclimate to the high altitude where the air is thinner and oxygen intake is significantly reduced to the much lower atmospheric pressure. After about an hour, the journey to the top continued. Rising far above the clouds to over 4,200 meters, the summit is home to some of the world’s most technologically advanced astronomy observatories such as the Keck, the Gemini, the Subaru Telescope, and the Submillimeter Array. 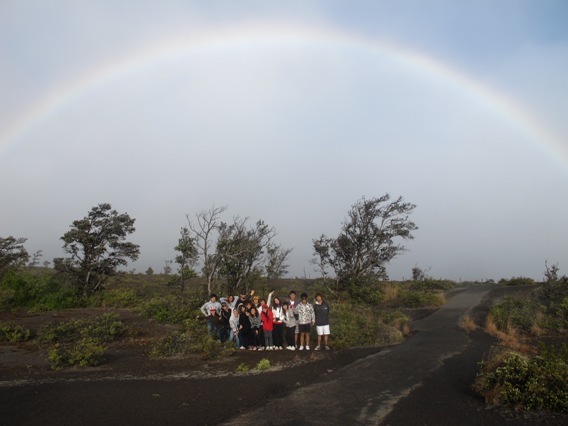 Later in the afternoon and through the evening, the seniors drove to the Hawaii Volcanoes National Park where the longest current volcanic eruption on Earth is taking place. After an informative stroll through the Jaggar Museum, a short walk to the edge of the Kilauea Caldera led to unobstructed views of the Halema’uma’u Crater billowing smoke and ash and, as dark fell, glowing pinkish-orange as the hot, molten lava churned within. 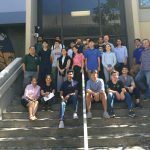 On Monday, the University of Hawaii – Hilo Campus welcomed the group with a day of campus presentations, tours, and activities. Showing the meaning of Hawaiian hospitality, the student guides gave their visitors a taste of college life, complete with lunch at the student center. 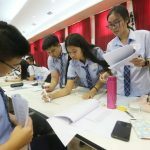 The seniors were even treated to a special tour at UH-Hilo’s Imiloa Astronomy Center, which is normally closed on Mondays, including dozens of interactive learning centers and a 3D presentation in the dome planetarium. Exhausted, the group finally headed back to the Hilo International Airport for the final chapter of their journey. Next stop – Honolulu on the Island of Oahu. 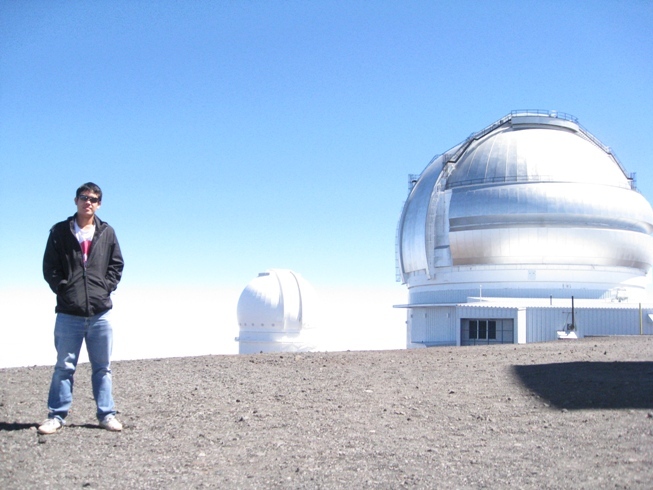 Senior Arm at the summit of Mauna Kea — Hawaii’s Gateway to the Universe. 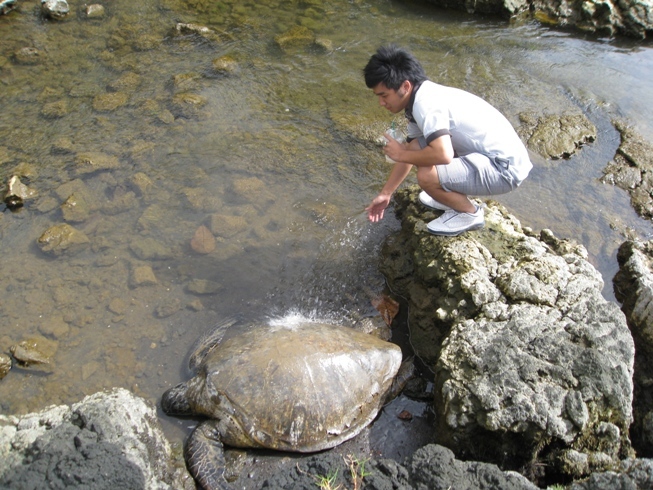 Senior Ton marveling at the size of a wild green sea turtle on the shore of Hilo Bay. 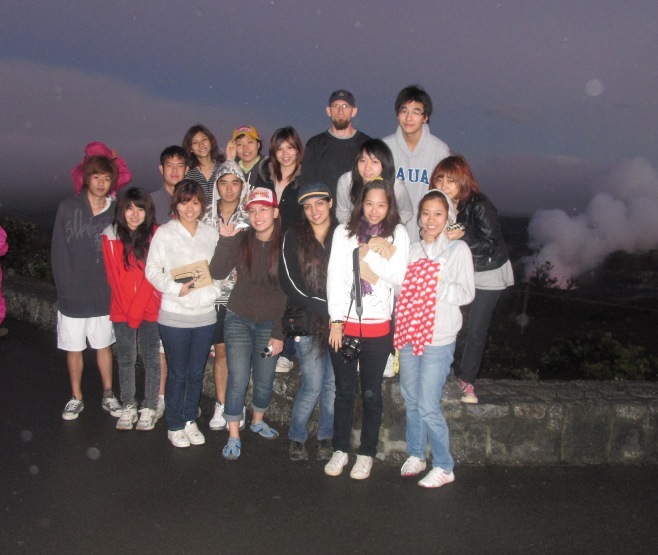 At Kilauea Caldera with Halema’uma’u Crater spewing ash and steam in the background. 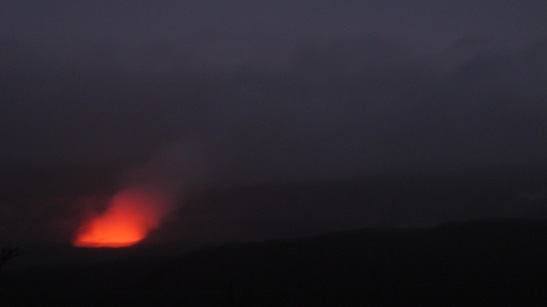 Red-hot lava glowing in Halema’uma’u Crater.